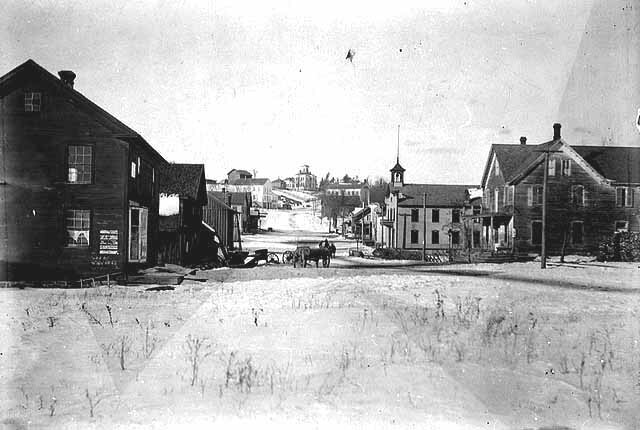 Minnesota's first commercial sawmill operated from 1839 to 1895, during a time when populations were booming and the state’s logging industry was in its heyday. In the autumn of 1838, Illinois lumbermen David Hone and Lewis Judd arrived in the St. Croix River valley. Attracted by the area's abundant white pine, they selected this site to build a sawmill and named it after their hometown, Marine, Illinois. 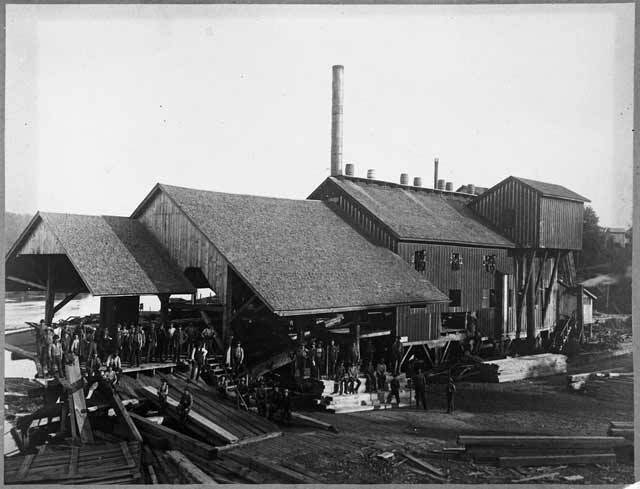 Less than one year later on Aug 24, 1839, the Marine Lumber Company became the first commercial sawmill in what would become the state of Minnesota. The town of Marine on St. Croix grew up around the sawmill, which is located on the main thoroughfare, Judd Street. During its first winter, the mill produced only about 5,000 board feet of lumber a day. By 1877, after being rebuilt and enlarged over time, the mill turned out two million board feet of lumber, 500,000 shingles, and 200,000 laths a year with an average daily work crew of fourteen men. In the mill’s heyday, the property included the sawmill, a planing mill, storage sheds, and areas for stockpiling lumber, shingles, laths, and other products. The property also had a steamboat levee, one of only three good landings north of Stillwater and a major route for travelers and Swedish immigrants who began settling in the valley in the 1850s. In 1852, two decades after the mill opened, the Marine Lumber Company tore down the first Marine sawmill and built a new mill at the site with a 40-foot overshot wheel. On September 16, 1863, the second mill was destroyed by fire. Three years later, the mill was rebuilt and back in operational order. In 1873, the sawmill was completely rebuilt to keep up with competition. By the late 1870s the country's long financial depression had taken its toll on the industry. These economic strains were followed by a string of natural disasters, including tornado damage and a low-water summer that prevented the transport of logs to the mill. In 1886, a four-mile log jam closed the St. Croix River at Taylors Falls. By 1895, after a few years of intermittent operation, the mill closed permanently. Marine Mill was in operation for nearly six decades, during which time it produced nearly two million board feet of lumber, much of which was used in the construction of many of the emerging towns and cities of Minnesota. Today what remains are portions of the stone engine house and large wheel dating from 1873, as well as the stream that powered the mill. Interpretive signs, pathways, and an overlook above the ruins provide visitors with a glimpse of the great industry that helped build Minnesota and the treeless plains states to the west and south. Next to the site is the Walker, Judd & Veazie "company store," a frame building constructed in 1870 and still in use, and the Village Hall, built in the late 1880s, also still in use. On adjoining property is a private home built by one of the company's founders in 1848. Marine Mill was placed on the National Register of Historic Places in 1970 and passed to the Minnesota Historical Society in 1972. Street scene, Marine on St. Croix. Street scene, Marine on St. Croix. Source: MNHS Collections. Walker, Judd and Veazie sawmill at Marine Mills. Walker, Judd and Veazie sawmill at Marine Mills. Source: MNHS Collections.